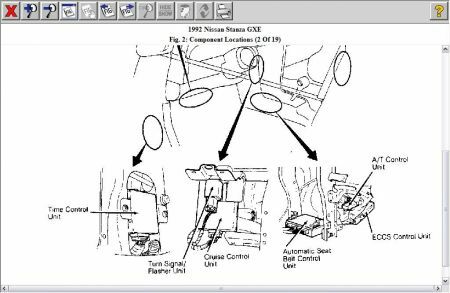 Where is turn signal flasher located on 96 nissan altima? It is called a combined flasher unit under the dash. Check out the diagrams (Below). Please let us know if you need anything else to get the problem fixed. 92 Nissan Altima 4 cylinder 5 speed manual. My turn signals do not work. Bought the car as is and figured on a fuse or bad bulb being bad and replacing it myself. Hazzards work, fuse and bulbs are ok. Aftermarket stereo was installed and the on dash clock does not work either. Could it be that someone has mis-wired something where the stereo is? Is there a flasher relay like the old round metal ones found in a chevy? I did some cross references on nissan 92's on maxima/Sentra/Stanza they all located on the same place see below. I couldn't come up with altima for some reason its not in the auto software reference am using. Might want to look at the same spot. under the instrument panel to the right side of steering column. If not am gonna keep on looking till I find it. I've traces the wiring harness as far as I could and didn't see any loose or bare wires. Some have suggested that the Flasher Module is bad, but I don't know where or what that is. Please help. 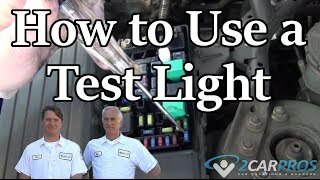 There are 2 fuses in underdash fusebox, Fuse # 11 ( 10 A ) for the flasher which is hot only when ignition switch is trned to ON and Fuse # 20 ( 10 A ), hot at all times, for hazard, does both blows? Does the fuse(s) blows immediately when switched on? When the blinker fuse blows, which happens frequently, and I turn on the Hazards it will also blow. Sorry I did not make myself clear. Does the fuse blows immediately when you turn on the turn signal or hazard? Or does it work for a short time before blowing? Prior to this happening, did you replace any bulbs or do electrical repairs? The fuse doesn't immediately blow it usually takes a week or so before it will blow the fuse. I haven't replaced the bulb or done any electrical repairs. 1. Bulbs, somtimes they have internal fault and would take some heating up to cause it to blow. 2. Wires, some could be exposed and is vibration causes it to be gounded. 3. The flasher relay could be faulty. The unit is located behind the dash, right of steering and sorry I do not have any diagrams to show you. Check if any of the bulbs seems not as bright as the others, that would mean a high resistance and possible cause for shorting. I could not find any Technical Service Bulletins regarding this so it means it is not a known problem and you might need to try checking the buls or replacing the flasher unit to test. I broke the arm that turns the high beam on and signals to turn right and left on my 97 Nissan Altima and I was wondering how big of a job it is to get it replaced. Please let me know what needs to be replaced and how much do you think it will cost. By the way, the signal arm totally broke and can't be glued on. Thanks. Thank you for your help and I'll give them a try. Thank yo so much for your reply. Could you please direct me to where I could buy the part needed. By the way, only the turn signal broke. The window wiper arm didn't. Most part stores should be able to order it for you, or you can search local salvage yards and even on eBay. Com. The combination switch is just another name for the turn signal switch, because it controls more than just one component. I tried to order it online but I found like 20 different ones ranging from $49 to $169 under the same title for the 97 Altima and they all more or less say the same thing. I see you listed a part number but I'm unable to read the numbers. Could you direct me to the site to order it. Thanks again. The part number is : 25540-40U60 .. This is for the OEM (original equipment manufactured) dealer part itself. It should cost around $79 at the dealer. You could also order it online from AutoZone. Com for around $64.99. Just choose wether your vehicle is equipped with stock foglamps or not. You are the best! Thank you and have a wonderful night. Sorry to bother you again but I got the switch and I would like to replace it myself. I was wondering if there is some kind of illustration to show me how to replace the switch. Thanks again. How about step by step to help you through the repair? Disable the air bag system by disconnecting the negative battery cable and waiting at least 10 minutes, prior to starting this procedure. At this point, the individual switch assemblies can be removed without removing the combination switch base assembly. To service an individual switch/stalk assembly, disconnect the electrical lead and remove the two stalk-to-base mounting screws. If the switch base must be removed, proceed with the remainder of the removal procedure. Disconnect the electrical harness from the switch. Remove the retaining screws, push down on the base of the switch with moderate pressure, then twist the switch and pull it from the steering wheel shaft. Install the switch on the steering shaft and tighten the retaining screws. Many vehicles have turn signal switches with a tab that must fit into a hole in the steering shaft. This fit is necessary in order for the system to return the switch to the neutral position after the turn has been made. Be sure to align the tab and the hole when installing the combination switch. Connect the electrical harness to the switch. Install the steering column covers. Check the switch functions for proper operation. 1998 Nissan Altima Signal Flasher.